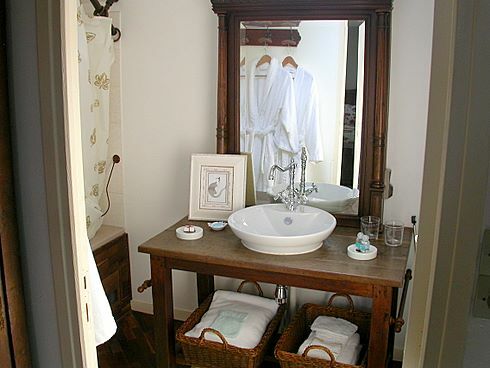 From 3 nights you may rent our little self catering cottage as your private holiday home. 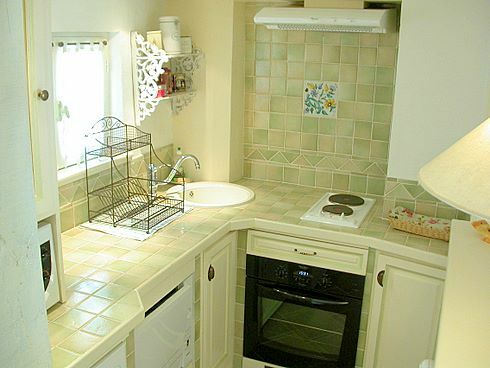 In this case a fully equiped little kitchen is at your disposal. The guests may then - if they wish so - prepare their own meals. 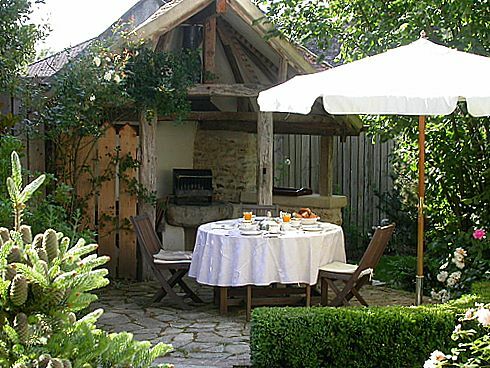 In Summer time (sometimes even in Spring and Autumn) it is possible and very pleasant to have your breakfast, lunch and dinner outside in the garden… You will enjoy your holidays in France with your own private terrace and barbecue! 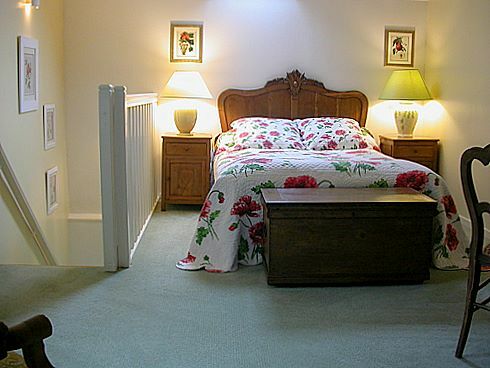 The cottage is also available with a bed and breakfast offer for shorter stays. 'Rose de Provins' - known as Rosa Gallica Officinalis by the garden lovers - is named after the nearby medieval town of Provins (World Heritage). 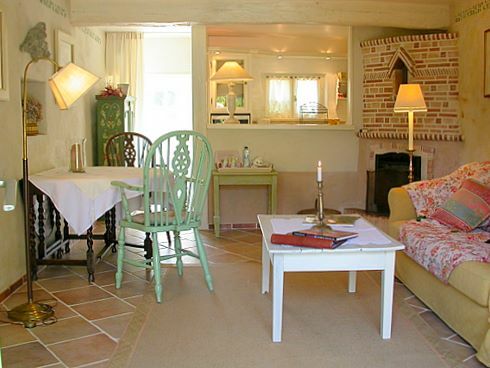 It is an independant cottage with private garden lounge and fireplace, sleeping room + bath en suite. Kitchenette. Sleeps 2 +1. 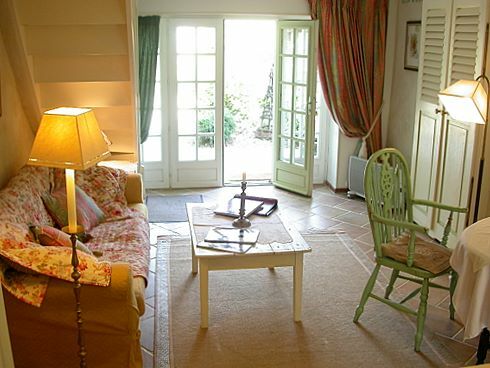 This old and romantic 18th century French cottage stands alone, apart from the main house and is now a charming suite of about 50 sqm. 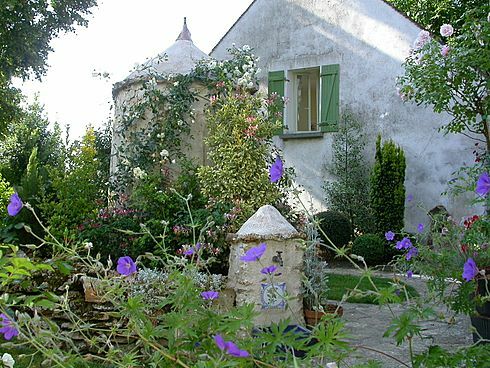 Our cottage 'Rose de Provins' is part of a larger 18th Century property with a big traditional house hidden in a garden with roses, birds and some very old trees. While keeping intact the spirit of the old times the cottage was restored and beautifully decorated with all modern facilities. 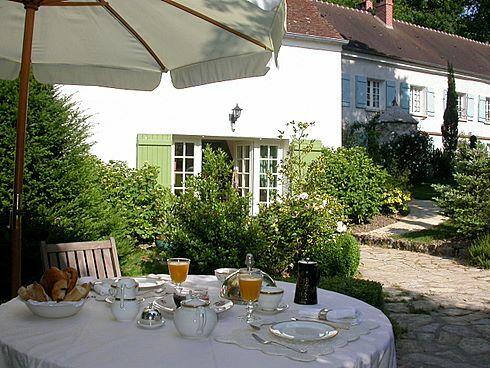 It is ideal for your holidays in the Paris area "Ile de France" (less than 1 hour only from Paris City) and the Champagne region (the first Champagne vineyards are only 6 kilometers from here and spread out until Reims). 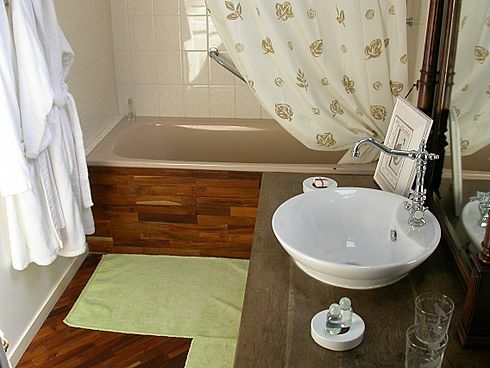 This is a perfect accommodation for a couple of 2 adults (1 baby or grown up child possible if careful and calm). During the Summer, the old and thick walls will allow a delicious and cool temperature in the lounge. And what an exquisite feeling to be able to step directly into the garden! In Winter you will enjoy sitting near the fireplace. As you see you will enjoy your holidays with us all the year round. Remarks: Minimum stay 3 nights for self catering. Also available as B&B for shorter stays. Infants and grown up children (if calm and careful) welcome but not suitable for young children (1-7 years).